Phrase. To be correct or accurate about something. 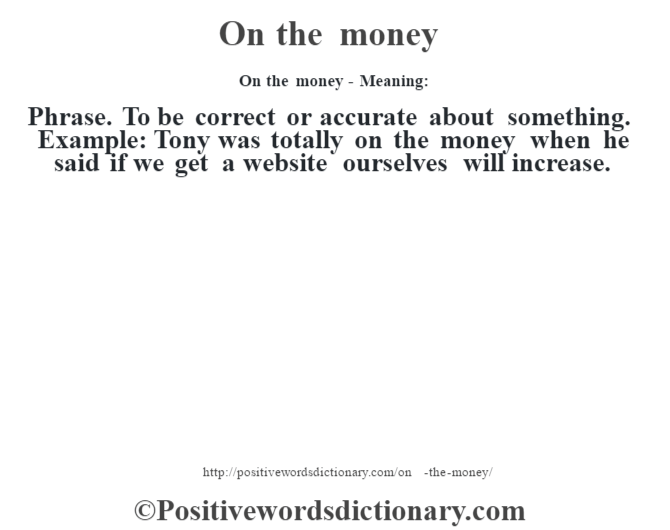 Example: Tony was totally on the money when he said if we get a website ourselves will increase.